Roy Samuel Reid (June 28, 1944-November 27, 1999, born in St. Thomas, Jamaica) - better known as I-Roy - was a Jamaican DJ who had a very prolific career during the '70s. Deriving his name and to some extent his style from U-Roy, Reid was also heavily influenced in his early career by Dennis Alcapone. With early recordings for Gussie Clarke, Glen Brown, Lee "Scratch" Perry and Bunny Lee, Reid established himself at the forefront of 1970's reggae DJ's. Deriving his name and to some extent his style from U-Roy, Reid was also heavily influenced in his early career by Dennis Alcapone. With early recordings for Gussie Clarke, Glen Brown, Lee "Scratch" Perry and Bunny Lee, Reid established himself at the forefront of 1970's reggae DJ's. His debut album "Presenting I Roy" is considered a classic of its genre, and was followed up by a series of strong albums including "Hell and Sorrow". For several years from 1975, I Roy engaged in an on-record slanging match with fellow DJ Prince Jazzbo, the two trading insults on successive singles, although in reality they were good friends. In 1976, I Roy signed to Virgin Records with whom he would go on to release five albums. 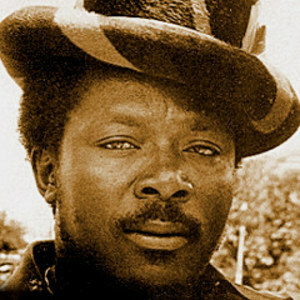 Reggae's move to the Dancehall era in the 1980's saw I Roy's popularity decline and although he continued to record, his output was not of the standard that he had set in the previous decade. His song Sidewalk Killer is featured on the Reggae radio station K-JAH Radio West in popular videogame Grand Theft Auto San Andreas, released in October 2004. He died in 1999 of heart failure.